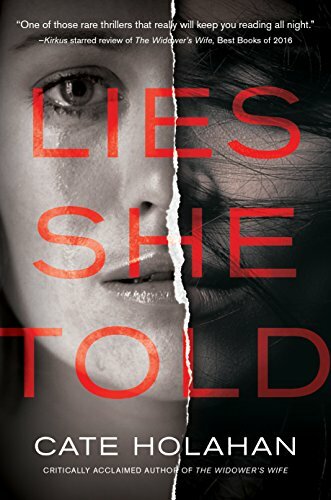 Lies She Told is a gripping mystery/thriller that follows Liza and Beth as they deal with some horrible things that are going on in their lives. Liza is trying to start a family with her husband who is dealing the disappearance of his best friend. Beth just had a baby and is suspicious that her husband is cheating on her. But the catch is that Beth is a fictional character in a book that Liza is reading. Which reminded me of Inception except it was a book within a book instead of a dream within a dream within a dream. I have read books like that before and they have always fallen short of the mark for me. But with Lies She Told, I was very impressed with how the author handled both stories. I mean, Beth’s story was completely different from Liza’s but they were the same (need to read the book). Which impressed me. The scene where everything was tied together kind of blew my mind because I honestly didn’t connect the two stories until then. I did think that Liza was a bit flaky throughout the whole book. But I blamed it on the experimental hormones that she was taking. But the more I got into the book, the more I realized that there was more to her story than what the author was letting on. So when the author did her first plot twist, I wasn’t really surprised (I was expecting it) but I wasn’t expecting the other plot twists (yes, there are more than one). Beth’s storyline was really good too. Again, I kinda saw what happened coming but I was pretty shocked at how her story ended. The ending was not what I expected and I loved it. So many secrets were revealed that my head was spinning but in a good way. Why: A great mystery that keeps you guessing until the end of the book. Sounds pretty good! Going to add it!